This page shows the latest MedCo news and features for those working in and with pharma, biotech and healthcare. 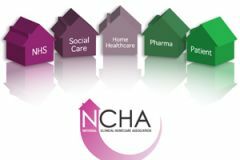 This environment has led to one NCHA member, US-based Medco, to pull out of the UK market and rescind NCHA membership. In 2011, Sanofi and US pharmacy benefit manager Medco joined forces to pursue just that objective. .
Medco partnered with Apoteket to develop the system and will provide ongoing support. ... Medco customised the clinical safety system to incorporate drugs and clinical guidelines available in Sweden. Prior to joining Bayer in 2005, Peterson spent five years in leadership roles at Medco Health Solutions following a series of positions at Nabisco, Whirlpool Corporation and McKinsey &Company.